As I bicycle my daily route along some fields and the edges of woods, the sweet scent of elder makes me want to stay there the whole day. It is inviting, intoxicating, playful and magical at the same time. When I get back home in the sunny morning, I quickly pick up my flower clippers and a bag, and head to the edges of the woods, where light and shadow meet, where the white flowers wink to me, the origins of the sweet scent. I’m looking for elder-trees that stand in the sun in the afternoon. I’m looking at the vitality of each little tree (they are officially bushes, but here they grow as small trees) : are they happy, vital, healthy, or small (young), a bit reserved, so-so? I’m making contact with them, approaching the ones I think they might be so kind to share of their flowers to me. They are all so beautiful, wonderful and some are truly abundant, having clusters of flowers the size of a 7 year old child’s palm, offering their flowers towards me saying “take, take!”. It’s as if giving their sweet floral offer is the most joyful thing they can think of – and I take, in gratitude, telling her how fantastic she is! But there are also trees that are “closed”, not feeling like communicating, and one elder very clearly stated that all her flowers, which will later be berries, are reserved for the birds. I never take much from one tree, but move on, meeting and greeting many trees, having contact with a whole elder family as I gather the flowers. I only take the ones that push themselves to my attention, ones that are fully open, not in a bud, and not wilted… I’m aware I’m not the only one appreciating the gifts of elder – the bees (for the flowers) and the birds (for the berries) do too. I only take what I need. And I give thanks, to every tree, to the whole elder clan. Happy, and dusted in light yellow pollen I return home. 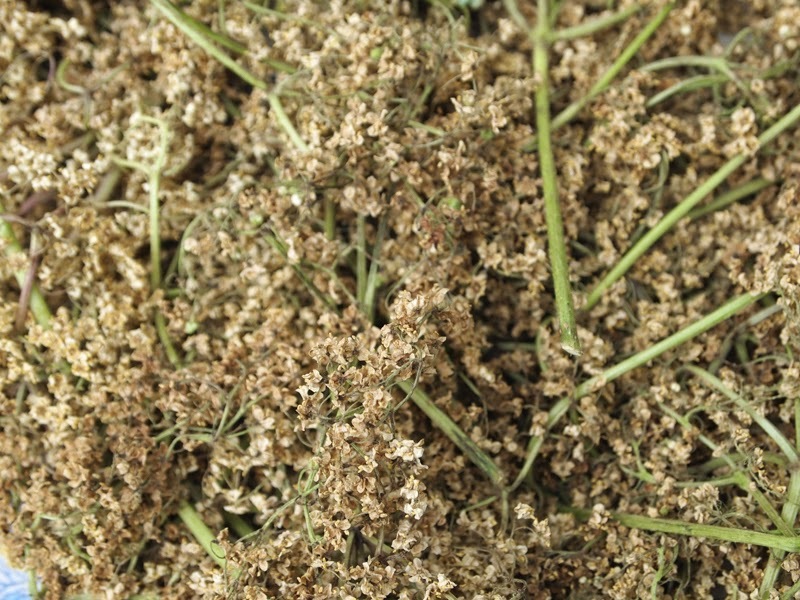 Uses: I dry the elder flowers for tea. 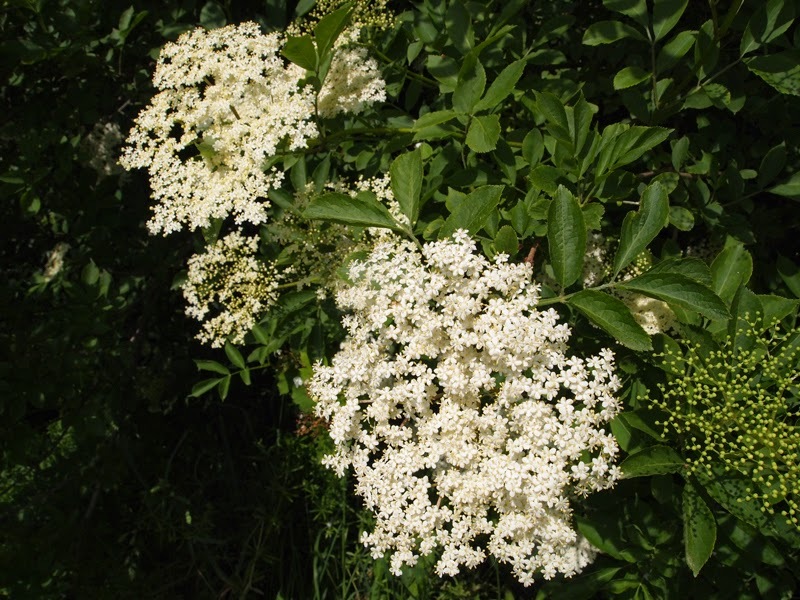 It is a great help to me when there is ‘that pollen’ in the air that causes me hayfever, and later in the year I drink a herbal tea with elder flowers in it if I catch a cold or flu, in order to soothe off the threat of sinusitis, to strengthen my immune system and to regulate fever. 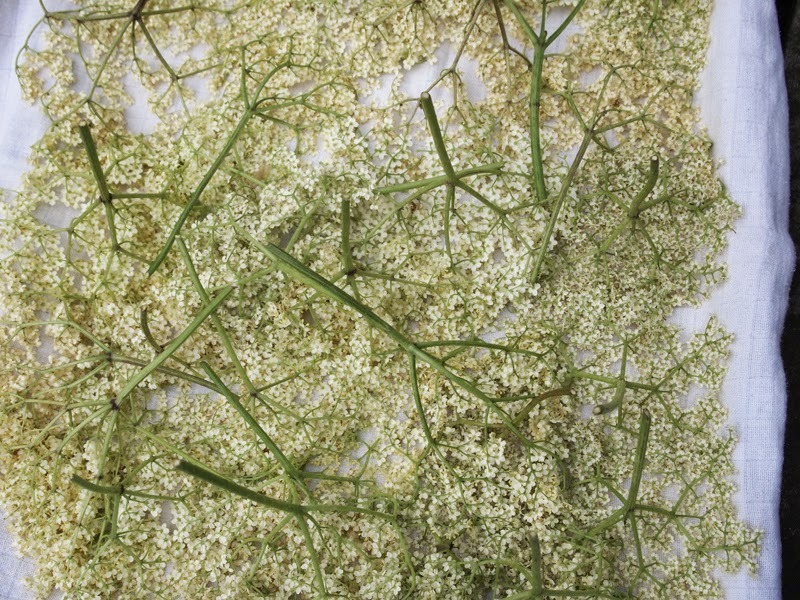 One could also make wine or syrup from elder flowers, and here in the Netherlands there seems to be an old tradition of elderflower pancakes – so much to try out!